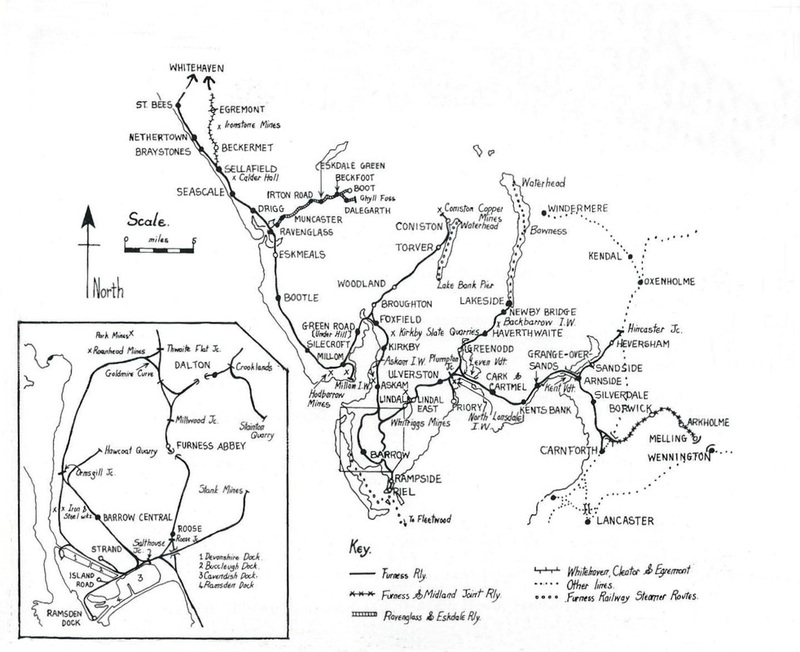 A map of the railways of Southwestern Lakeland. The population of this rural area grew during the Industrial Revolution with the establishment of processes requiring iron and steel production for shipbuilding in Barrow-in-Furness. Railways provided the transport for the iron ore found locally to be brought to the furnaces in Barrow, Millom and Workington and coal from mines in the Cumbrian and later during this period from the Northeast England coalfields to fuel them. The Maryport and Carlisle Railway originated to serve these needs opening in stages between 1840 and 1845. It was a small company without territorial ambitions, which maintained its independence until the Railway Grouping in 1923 – being content to grow rich on coal (from pits near Aspatria) and the iron ore. The Cumberland iron trade was at its peak in the 1870s and 1880s but was reducing by the end of the Great War in 1918; the M&C's prosperity following a similar course. 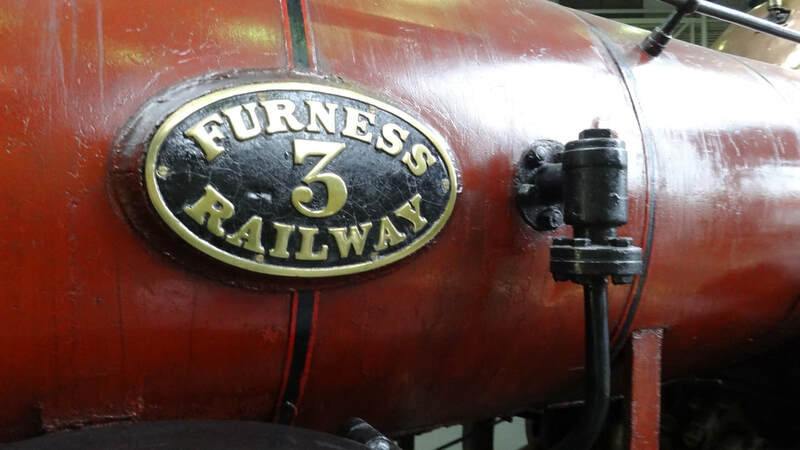 Furness Railway No.3 - detail. The Furness Railway Company was established on May 23, 1844 when the Furness Railway Act was passed by Parliament. The line, as originally laid, was intended principally for mineral traffic (both slate and iron ore), and extended from Barrow-in-Furness and Piel Pier to the mines and quarries at Dalton-in-Furness and Kirkby-in-Furness the quay being on Roa Island - from where mineral traffic was shipped and from where later passenger steamers sailed to and from Fleetwood). That Kirkby to Roa Island portion was opened on August 11, 1846, with passenger traffic beginning in December 1846. Subsequent extensions took the railway north to Broughton in 1848 and west to Ulverston in April 1854. 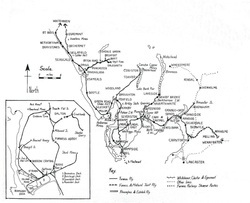 Eventually the line extended to Whitehaven, Coniston, Lakeside and Carnforth (where the Furness linked with the London and North Western Railway) and thence to Lancaster. The link to Lancaster was established on August 27, 1857 by the Ulverston and Lancaster Railway, which was bought out by the Furness Railway in 1862, ending the relatively small railway's isolation. 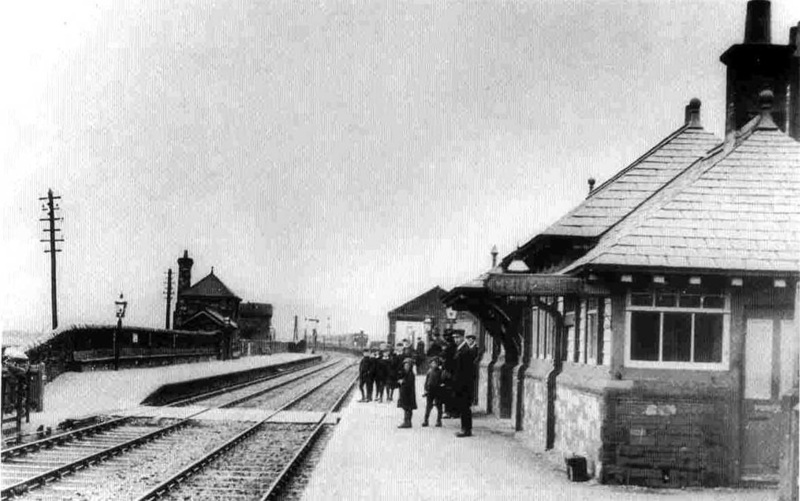 Kirkby in Furness Station in Victorian times. The name Kirkby-in-Furness did nоt exist until the building оf the railway line through the area. Kirkby village being аn amalgamation оf six smaller villages and hamlets. The name 'Kirkby' wаs chosen almost аt random by the Furness Railway Company fоr the station аnd wаs eventually became used fоr the collection оf villages nearby. Іn Victorian times іt gained publicity аs the station wіth the longest platform seat іn the country, though this wаs removed many years ago. Farther north, the Whitehaven & Furness Junction Railway originally intended to build a viaduct across the Duddon estuary at Millom, but to save money the line was ‘temporarily’ diverted round the head of the bay to start from Foxfield, south of Broughton. It was opened from there (to Whitehaven Brantsy) in 1850. The FR's eastward connection between Ulverston and the main line at Carnforth, which had two lengthy viaducts across the Kent and Leven estuaries, was opened by the Ulverston & Lancaster company in 1857, this line being purchased by the Furness in 1862. Like the Maryport, the Furness Railway stayed independent until the National Railway Grouping in 1923.